The item Kids of the Round Table, (electronic resource) represents a specific, individual, material embodiment of a distinct intellectual or artistic creation found in Sno-Isle Libraries. While searching for a mythical treasure, a greedy Diamond thief captures a research team led by Professors Miller and Donovan. 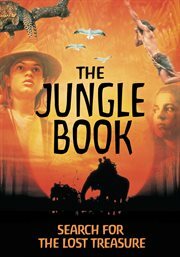 Their two children manage to escape into the Jungle, aided by the legendary Mowgli the two attempt to rescue their father's and find the lost treasure before the thief!